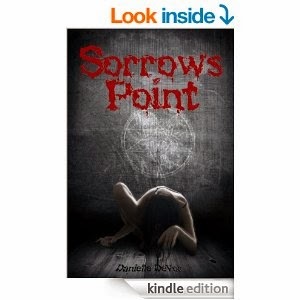 Sorrow's Point, written by Danielle DeVor. I rarely read horror novels, nowadays. Once you've read a few, then you see a familiar pattern emerging and then they all seem like the same. I can't even remember the last one I read. It must have been a few years. When I was young, before my love of fantasy sprouted, I grew up reading Goosebumps by R.L.Stine, and then later progressing to Stephen king (the clown, It, still has me reluctant to enter a bathroom). Actually, my last horror book, 'Cradle and All' by James Patterson, was not actually horror but still scared me witless (well worth a read if you haven't). Now that I think about it, it's strange how I shy away from horror books when I actually love watching horror films. Anyway, moving onto the book. I decided to read a horror book after its been so long and my favourite sub-genre of horror is possession and exorcism. And so after looking around for a decent possession type story I found Sorrow's Point. The title immediately caught my eye and then after seeing the cover, I knew I found the book (or at least I thought I did). The book's protagonist is Jimmy Holiday. He grew up in a troubled family and joined the priesthood to escape. After meeting a young woman and finding his values questioned he decided to leave the church. The story then begins sometime later in the future, when a face from his past knocks on his door at 3am asking for his help. Will, an old friend of Jimmy needs his help or more specifically his 6 yr old daughter needs his help. Will and his wife, Tor, decided to escape from the troubles of a big city and live in a more secluded setting. They decided a small town called Sorrow's Point was the perfect place. They found an abandoned mansion that was up for sale and decide to buy it (Why?! I have no idea, but then again you wouldn't have a good horror story if everyone was thinking rationally). Once they moved in, that's when all their trouble began. Horror novels are fairly obvious in their plot. And so I wasn't expecting anything original. But what great chilling horror books do that define it from the rest is the emotions that they evoke from their readers. A good horror writer, through their words will inspire trepidation, anxiety, panic, dread, and really put the fright into you, so much so, that you find yourself too scared to read while you're alone at night with nothing but the faint stirring of the wind, the rustling of leaves against the windowpane, the flickering shadows in the corner, and the creak in the attic as your only companions. Okay, I tried. I'm not cut out for being a horror writer. The book is told from a first person pov, and mainly through Jimmy's voice, but it does switch to Tabby, his ex-girlfriend, who happens to be a witch (the nice kind). In terms of storyline it was basic. 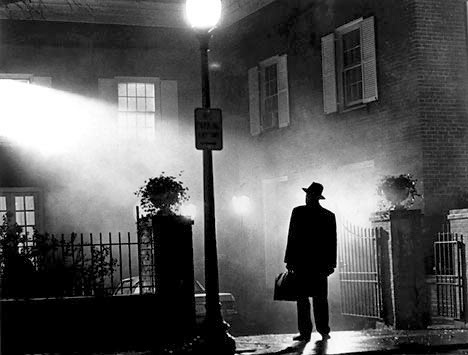 If you've watched or read 'The Exorcist', then you got a good guess what was going to happen next. Rather, I was hoping that the author's descriptive talents would shine and create an atmosphere to install fear. Unfortunately, at no point reading the book did I feel even remotely scared. Instead I just went through the motions of reading words on a page, wondering/hoping/praying that it would improve. I think the main problem I had with the book was that this was supposed to be about Lucy, a young girl who finds herself possessed, looking for help. Instead, the writer focused all her attention on everyone but the girl. I think I can count of on one hand all the interactions between Jimmy and Lucy. I mean if you travel 8 hrs by road to see a possessed girl, you would think seeing the girl would be your first prority, not spend half a day lounging around the house and then go off to a library, before thinking, 'maybe I should go meet her'. It felt like Lucy was put to the background and the spotlight was shone on the drama between the mother and father and Jimmy with his ex. And it was only towards the end did Jimmy scratch his head and think 'Oh, I guess I really should help this 6 yr old girl before she dies'. Another problem I had with the book was that I didn't like Jimmy, or, to be more precise, his inner monologue. He sounded to me like a whiny teenage girl and several times I had to remind myself that this was a grown man in his thirties. Okay, some good points about the book. The title, Sorrow's Point. It's a really catchy title and instantly captured my attention. I actually wouldn't mind living in a town called Sorrow's Point, and it would be a great line to throw into a dwindling conversation, "by the way I live in a place called Sorrow's Point..."
Another plus for the book is the cover. It simple and yet effectively scary. You know straight-away what you're getting into. I wanted to read a horror book that would keep me awake at night, sadly Sorrow's Point failed to deliver. Rather, I had one of my best nights sleep after finishing the book at 1am. I really wanted to get into this book, desperately so, and maybe that high expectation has tinged this review, but the writing was just too rudimentary for me, and I couldn't relate to any of the characters. The book cost me about £5/$8, and for that amount I'd say save your money for something else. I'll finish by saying that if I ever found myself possessed, I definitely wouldn't want Jimmy Holiday being my exorcist.